Ready to begin improving your life, one day at a time? Probably the biggest complement to the work I do as epic fantasy writer and entrepreneur is how I manage my time. I use a system of journals and planners that might be thought of The 7 Habits of Highly Effective People meets The Five-Minute Journal. This practice is very easy to do. It only takes about 10 minutes a day. You begin in the morning with a short visualization (1-2 minutes), then put in your longer part at the end of the day (5-8 minutes) touching base on gratitude, struggle, and intention for tomorrow. I reflect at the daily, weekly, 7-weekly, and annual level. Over 2018, I have committed to making these journals available, as I’m very passionate about helping others realize the same power of this journal method. You can begin right now by ordering Your Daily Journal: 100 Day Starter. This will get you started on a 100 day journey using this daily journal method. The advanced guide at the back will help you make this more than just a daily journal. You’ll hone important skills like visualization, proactivity, positivity, objectivity, and concretizing so that you can set attainable goals and see results in your daily life. As a side benefit, you’ll also get help creating a morning and end-of-day wind down routine. This journal is a lot more than just a tool for other writers or creatives. It can work for anyone. But especially if you are like me and your creative time is something you have to structure, and you want balance in your life, then this journal will help you form, develop, and hone consistent habits over time. You will be able to take charge of your life and take small steps toward being the kind of person you want to be. 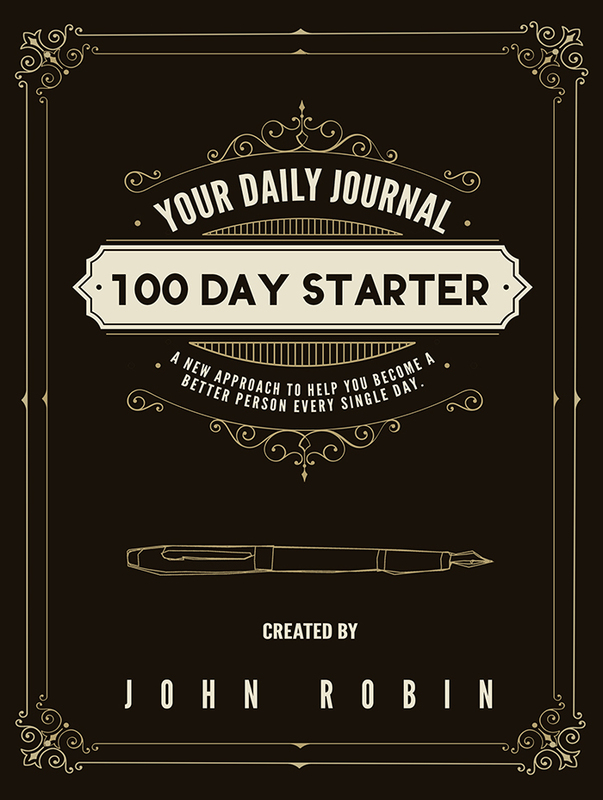 Buy Your Daily Journal: 100 Day Starter now to begin this journal. After you begin, please reach out to me by email. I will gladly give you tips and some coaching along the way. Be sure to follow my blog as well, where you’ll be able to get additional tips on writing, lifestyle, and attaining goals.